I first read Noam Chomsky’s works as an undergraduate. At that time, I had a strong interest in the philosophy of language. I became familiar with the book Language and Responsibility, based on conversations between Chomsky and Mitsou Ronat on linguistics and politics. I also purchased a copy of the book Language and Learning, edited by Massimio Piattelli-Palmarini, which contains riveting presentations and discussions by Jean Piaget and Noam Chomsky, among others, on the process of language learning. In 1987, I was working on my Master’s thesis on Marx’s Theory of Ideology and read Chomsky’s writings on the manufacturing of public consent by means of mass media propaganda. 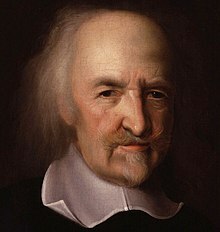 The epigraph of my Master’s thesis was drawn from the English philosopher Thomas Hobbes (1588 – 1679). Perhaps, Marx and Chomsky would both concur with the spirit of Hobbes’ remark if not its letter. 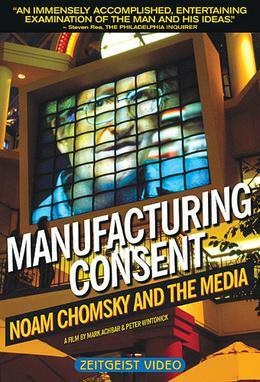 In the Fall of 1988, Chomsky visited McMaster University to give a talk on the propaganda model of the workings of mass media. This model was developed by Noam Chomsky and Edward Herman. It was exhaustively explained and argued for in their book Manufacturing Consent: The Political Economy Of The Mass Media. I attended his talk and asked a question about what I thought was an anomaly for his propaganda model of the mass media: the extensive American media coverage of the shooting down of the Iranian civilian airliner, Iran Air 655, on July 3, 1988, over the waters of the Persian Gulf by the USS Vincennes, a guided missile cruiser of the US Navy. All 290 people on board, including 66 children, perished. 254 passengers were Iranians. 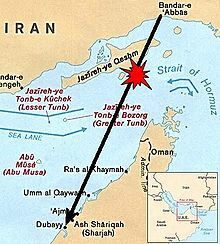 Locator map showing Iran Air 655’s origination point, destination, and approximate position when it was shot down by missiles fired from the USS Vincennes. 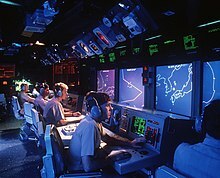 “On July 3, 1988, the USS VINCENNES and USS ELMER MONTGOMERY were operating in international waters of the Persian Gulf near the Strait of Hormuz…As the VINCENNES and MONTGOMERY were approaching the group of Iranian small boats at approximately 1042 local time, at least four of the small boats turned toward and began closing in on the American warships. At this time, both American ships opened fire on the small craft, sinking two and damaging a third. I asked Chomsky how he accounted for the anomaly of the prominent coverage of this horrible event, in the mainstream US media, in terms of his propaganda model. In posing that question to Chomsky, I was assuming that his propaganda model of mass media would rule out this sort of prominent coverage (since it predicts that mainstream US media will minimize or eschew coverage of the crimes of the US government and military and give prominence of coverage to the crimes of actual or perceived enemy regimes and their armed forces) of an incident which further undermined US standing in the region. I still vividly recall Chomsky’s reply to my question. His answer was that the downing of Iran Air 655 was a good example, but that the nature of the coverage, inclusive of the spin or commentary by pundits in the mainstream American media, of that atrocious incident pointed to a different conclusion than that it was an anomaly for the propaganda model of the mass media. In other words, extended coverage, or prominence of coverage, in the mainstream mass media, of the crimes of one’s own government and/or military is consistent with the propaganda model if that sort of media coverage is simply an effective means of propagating the official government commentary, interpretation, and justification of the event(s) in question. In short, such extended or prominent US mainstream mass media coverage of the crimes of the US government and military actually seeks to whitewash and portray those crimes as essentially non-criminal in nature, e.g., self-defense, justified retaliation, blunders, or “tragic mistakes”, and so forth. Thus, in terms of the Chomsky-Herman propaganda model, we should not only look at the extent of coverage of an issue in the mainstream media, but also at the framework of the prevalent commentary, or interpretation and justification, in which that coverage is embedded. In fact, the coverage and commentary in the mainstream American media, notably the New York Times, ABC Network, and so on, faithfully repeated and reiterated the official position on the shooting down of Iran Air 655 and the official justification of the expansion of American military forces in the Persian Gulf, using the very incident of the shooting down of Iran Air 655 by the USS Vincennes as a pretext for the military expansion! Initially, both the NY Times and ABC reported, with characteristic servility, the Pentagon’s account of the incident with its distortions of three salient facts: the distortion of the fact that the USS Vincennes was actually in Iranian waters at the time of the shooting, the distortion of the fact that all the electronic data on the ship showed that the plane was ascending, and the distortion of the fact that electronic data showed that the plane was a commercial airliner and not a military aircraft. Needless to say, the Iranian government’s account of the incident did not merit a single mention in the initial reports by the NY Times and ABC. 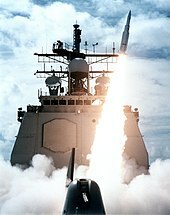 (Note: Admiral William Crowe acknowledged belatedly, i.e., three years after the shooting down of Iran Air 655, in an interview with Ted Koppel on ABC’s Nightline, that the USS Vincennes was in Iranian territorial waters at the time it launched missiles to destroy the Iranian aircraft! However, neither of these admissions acknowledged the criminal negligence involved in the shooting down of Iran Air 655 and still sought to justify the response of the USS Vincennes. Thus, the coverage of the Iran Air 655 incident was not an anomaly for the Chomsky-Herman propaganda model because the mainstream media repeated with abject servility the official propaganda justifying the shooting down of the Iranian passenger jet by the Vincennes. 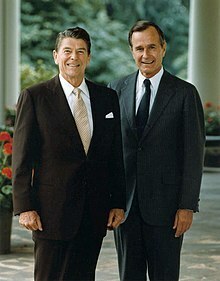 Further, consistent with the Chomsky-Herman propaganda model of the mass media, the accompanying “spin” or commentary in the mainstream American media on that incident justified the Reagan administration’s aggressive policy on Iran and the consequent expansion of American forces in the Persian Gulf.